China\'s great wall of cash is pouring into the struggling U.S. property market, from multi-million-dollar mansions on the West Coast to venerable hotels on the East Coast. Buyers from mainland China and Hong Kong are snapping up luxury homes, often paying cash, in major U.S. cities such as New York, Los Angeles and San Francisco. They\'re coming by the dozens to buy foreclosed properties in downtrodden cities in Florida and Nevada. Chinese buyers are even starting to snap up pricey commercial buildings and hotels in Manhattan. Chinese interest in U.S. real estate began climbing during the U.S. housing meltdown, when plunging property prices made the U.S. a magnet for global buyers. Today, interest is growing as a rising yuan — up more than 8% since mid-2010 — gives the Chinese greater purchasing power, and the mainland\'s restrictions on property purchases encourages them to look overseas. With U.S. single-family home prices a third lower since 2006, the U.S. also compares favorably with other top markets for Chinese investment, such as the United Kingdom, Australia and Canada. "For China, the world is an emerging opportunity," says Andrew Taylor, founder of Juwai.com, a real estate site based in Hong Kong that was launched in 2011 to match Chinese buyers with U.S. real estate. "We\'re talking about a huge chunk of people with cash and the desire" to invest overseas. Lily-Sui Zhang, 30, says her husband\'s Beijing family bought a house in South Pasadena, Calif., last year so her three young children would have access to good public schools. The family thought investing in the U.S. was "probably more stable than in Beijing" due to concern about a Chinese real estate bubble, Zhang says. Some Chinese buyers also see the U.S. as an attractive place to invest because on the mainland, Chinese never own land — they just lease it from the government. While mainland China allows each citizen to exchange only $50,000 of yuan into foreign currency per year, wealthy clients often do business overseas and have offshore funds they can use to buy property, says Alan Liu, managing director of North Asia for Colliers International, a brokerage and real estate firm. The currency restriction doesn\'t apply in Hong Kong, a special administrative region of China. Hong Kong residents Lillian and Frank Yan say they bought a condo in Honolulu this year because U.S. property prices are relatively low compared with major cities in Asia. They plan to stay there two to four weeks a year, and rent it out the rest of the time. "The majority of our equity is tied to the Hong Kong or Chinese economy, so we wanted to diversify our portfolio," says Lillian Yan, 42. China has more money to invest than ever. Mainland China now has 960,000 millionaires — defined as individuals with residences, private businesses and investable assets of more than 10 million yuan or $1.5 million, according to the Hurun Report, a Shanghai publisher of magazines for China\'s wealthy. Nearly half of those millionaires are considering moving or getting permission to reside overseas. Their top country of choice? The USA. In the year ended Sept. 30, Chinese applicants accounted for 78% of the 3,805 EB-5 applications in the U.S., up from 35% four years before, according to government data. In that program, foreign investors can get permanent resident status, or "green cards," in exchange for investing $500,000 or $1 million, depending on the part of the country, in ventures that create or sustain at least 10 jobs within two years of the immigrant investor\'s admission to the U.S. as a conditional permanent resident. Some lawmakers also see foreign investment as a way to boost the U.S. housing market. Legislation proposed last fall by Sens. Charles Schumer, D-N.Y., and Mike Lee, R-Utah, would let foreigners get a three-year resident visa if they invest $500,000 in U.S. real estate, including $250,000 for a primary home. They\'d have to live at least 180 days a year in the property and pay taxes here. The New York, Los Angeles and San Francisco areas are most popular with Chinese home buyers, according to Realtors and data from real estate website Trulia. East West Bank, a regional bank heavily active in California with branches in China and Hong Kong, says U.S. home buying among mainland Chinese has been "stable" in recent years as buyers wait for prices in various markets to hit bottom. "They want to buy at the lowest" price, says senior vice president Emily Wang. In the affluent Southern California city of San Marino— where the median price of a home sold in January was $1.6 million, according to MDA DataQuick — Chinese buyers are looking for high-end homes in good school districts and neighborhoods likely to see stable home values, says Linda Chang of Coldwell Banker. One of her recent mainland Chinese buyers paid $5 million for a 5,000-square-foot home in Pasadena that the family expects to occupy for one month a year, she says. "They treat it like a hotel without room service," says Chang, who estimates that a quarter of shoppers in the $3 million-plus market in her area are from mainland China. Mainland Chinese also account for a third of the buyers at luxury home builder Toll Bros.\' new home development, The Heritage in Vista Del Verde in Yorba Linda, Calif., southeast of downtown Los Angeles. In the San Francisco Bay Area, Realtor Stanley Lo of Green Banker real estate says mainland Chinese — a third of his clientele — are looking for homes priced at $800,000 and up. Most of his clients are Chinese business executives, who can afford second homes. They follow friends, relatives or work colleagues to the suburbs between San Francisco and the Silicon Valley. One recent rainy afternoon, Lo showed a six-bedroom $4.5 million Hillsborough home to Lee Xiao Jun, from Hubei Province in China. Her husband works in manufacturing and makes frequent trips between the U.S. and China, so they want a home in a good location close to the San Francisco airport. "The prices here are more reasonable than in China," she says, standing under wood-beamed ceilings overlooking a garden terrace. In New York City, mainland Chinese are increasingly paying cash for $20 million "trophy apartments," says Pamela Liebman, CEO of The Corcoran Group, a residential real estate brokerage company. Based on current trends — and the increasing numbers of mainland Chinese buyers — Liebman expects they\'ll account for one in 10 uber-luxury buyers in the next year or two. New York City is also popular with a growing number of Chinese investors looking for commercial property. Last year, China\'s HNA Group, which owns Hainan Airlines, paid $265 million for 1180 Avenue of the Americas, a 23-story office building in Manhattan, and $126 million for the luxury Cassa Hotel and Residences near bustling Times Square. Hong Kong billionaire Cheng Yu-tung\'s family also bought five U.S. luxury hotels in 2011, including Manhattan\'s iconic Carlyle, for $570 million. Chinese investors are looking to buy hotels as a growing number of mainlanders travel overseas, says Chris Brooke, chief executive of broker CBRE, Asia. Yet, unlike the Japanese, who were criticized for overpaying for high-profile U.S. assets in the 1980s and 1990s, many Chinese investors "do not care about the image of a building and usually do not want to pay a premium for such image," says Allen Wu, chairman of Wu & Kao law firm, which represents HNA Group. The rising numbers of Chinese investors are hard for U.S. developers and real estate agents to ignore. LA Urban Homes, which is selling a development of 125 new homes in Southern California\'s San Gabriel Valley, recently added a Chinese language section to its website to lure the mainland Chinese, says President Jeff Lee. Corcoran is working with partners in China to bring potential buyers to New York. Last year, Corcoran brought one group of 11 Chinese buyers, four of whom bought properties. This year, it plans to do at least four such events, maybe six, Liebman says. "Five years ago, developers were coming to me about opportunities to invest in China, and now, they\'re coming to me to try to get Chinese to invest" in the U.S., says Patrick Randolph, a professor of real estate law at the University of Missouri-Kansas City and a co-director of the Real Estate Research Center at Peking University in Beijing. 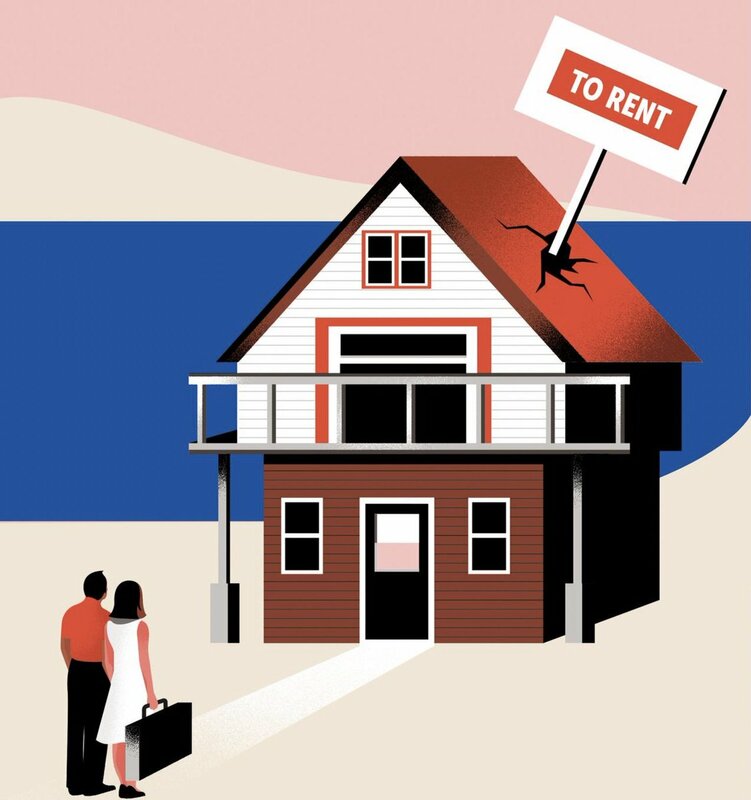 Zhuang Nuo, president of SouFun International, a Beijing real estate company that brings dozens of mainlanders to the U.S. each year to tour new and foreclosed properties, says he expects the U.S. to remain the top choice for clients buying overseas. "The U.S. is always the Chinese people\'s dream," says Zhuang.